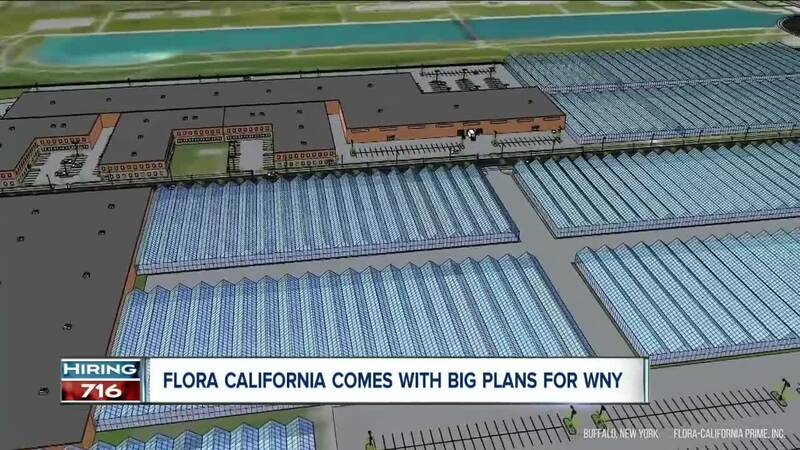 Flora Buffalo is moving ahead on their plan to build a 1.25 million square foot, $200 million high-tech complex which will bring 500-1,000 jobs into Western New York. The campus, which will be focused on cannabis, and the growing, testing, selling, and analysis of the plant. This is all if the legalization of marijuana happens in New York State. A major announcement today, was that Flora would be employing minority-owned construction firms for atleast 25% of their build out. A commitment by Flora to change not only WNY's job market, but the area as a whole. "Flora Buffalo is committed to give people access and opportunity" Imani Dawson, a Flora Buffalo representative said. This type of hiring is exactly what the Community Action Organization says Buffalo needs. "We are probably the 4th most impoverish city per-capita in the entire country" L. Nathan Hare, President of Community Action Organization of WNY said. Hare believes that if Flora does follow through on their hiring, this could be a game changer in WNY. "Transformational to our communities that within ten or 15 years, it's going to feel like a different place." NYS is still awaiting the legalization of marijuana, so the plans for a new facility are on hold until then.